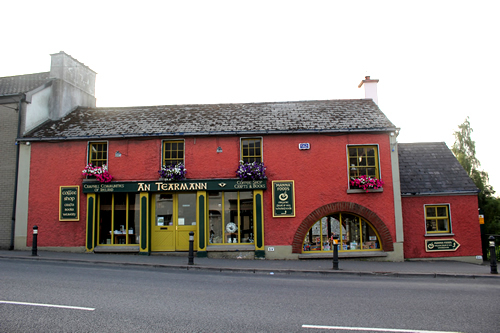 In the heart of Kilcullen, Co. Kildare, An Tearmann is a coffee shop with a difference. We are looking for two energetic, enthusiastic and responsible people to lead our team! 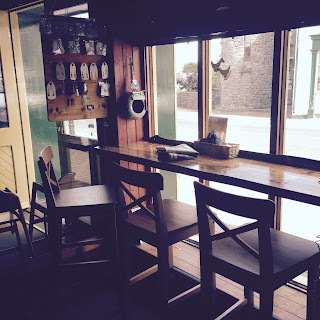 An Tearmann is a coffee shop with a difference. 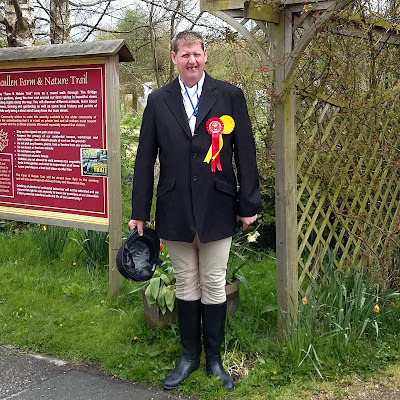 Justin Wynn, a long term resident at the Camphill Bridge Community, recently won a gold and bronze medal in the dressage horse riding category of the Special Olympics. The Transitional Training Project Management Groupat Camphill met with him and interviewed him on this achievement. 1) What is the name of the horse that you rode on in Special Olympics? Max, a white gelding. 2) What is dressage? What does it involve? You take the horse in steps around the arena. The horse goes round various obstacles. It is a bit like the horse dancing. 3) How many people took part in the competition? There were 20 competitors in the competition. This was Justin’s first competition. It was held in Castledermot in County Kildare. Justin had to train every Thursday and Friday for the last few months, in preparation for the competition. Jumping and cantering are Justin’s favourite parts of dressage. When the acronym HIQA appears in the news media, it is generally a bad news story, writes Brian Byrne. This is refreshingly not the case with the recent inspection of the Bridge Camphill Community by the Health Information and Quality Authority, which the Community passed with flying colours. It was the first inspection of the designated centre for people with disabilities since it was established in Kilcullen more than two decades ago. The inspectors examined it under 18 headings ranging from 'Residents Rights, Dignity and Consultation' through 'Safeguarding and Safety' to 'Governance and Management' and much in between. The subsequent Report logged no non-compliances, and was very complimentary overall of the centre which has become so much a part of the overall community of Kilcullen. In just three of the areas of inspection were there small issues which needed to be dealt with, relating to procedures in Social Care Needs, Safeguarding & Safety, and Records & Documentation. Indeed, beyond the necessarily dry words of the Report itself, we understand that the inspectors made many verbal comments about Bridge Camphill, such as being 'blown away by what we saw in the two days we were here in relation to integration and inclusion within the wider community'. The Report noted the particular Camphill model of such centres whereby residents shared their homes with co-worker volunteers and with a mix of professional staff. The inspectors found that residents 'were provided with a very good standard of service and residents were found to enjoy a good quality of life' at the Kilcullen centre. 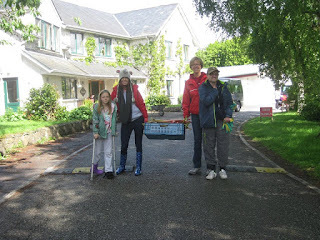 Residents and their families alike were 'very positive' about the service model, and levels of social activation and meaningful engagement were cited by families as being 'very person centred and supportive'. The staff at Bridge Camphill were themselves very pleased with the result, after being somewhat nervous in advance of the first inspection of the centre. "Given that there is a new scandal in relation to disability centres and HIQA Compliance reports in the press every other week, it's nice to also celebrate such an achievement which gives local people confidence in supporting a worthwhile cause," Mischa Fekete, as person in charge, said afterwards. The 25-page Report is available from the HIQA website www.hiqa.ie. For anyone interested in the care and development of people with disabilities, it makes uplifting reading. The Bridge Camphill Community is asking for donations to help repair the Kilcullen Farm & Nature Trail, a section of which was severely damaged by flooding at the end of the year. 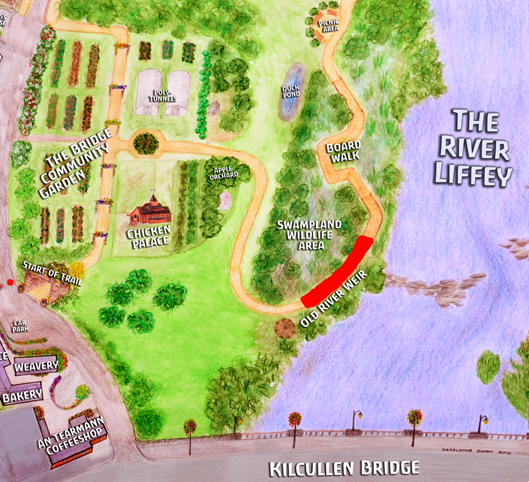 Anyone who’s tried to walk the Nature Trail in the past two months has noticed a portion by the old weir blocked off, and due to the significant cost of repairs, this may remain so until funds can be raised. This section is probably the most attractive part of the walk and was previously damaged 2 years ago and repaired at the time, however this years flooding has again damaged the same section and plans are now in place to rebuild the section of the Nature Trail by the former location of the old weir in a matter that is able to withstand future flooding without being eroded. Not only is the Nature Trail used by the residents of Camphill, it’s also extremely popular with the broader community. Families with buggies, pensioners, and everyone in-between can be spotted enjoying the river walk, garden, farm animals - all free and accessible in the center of town. 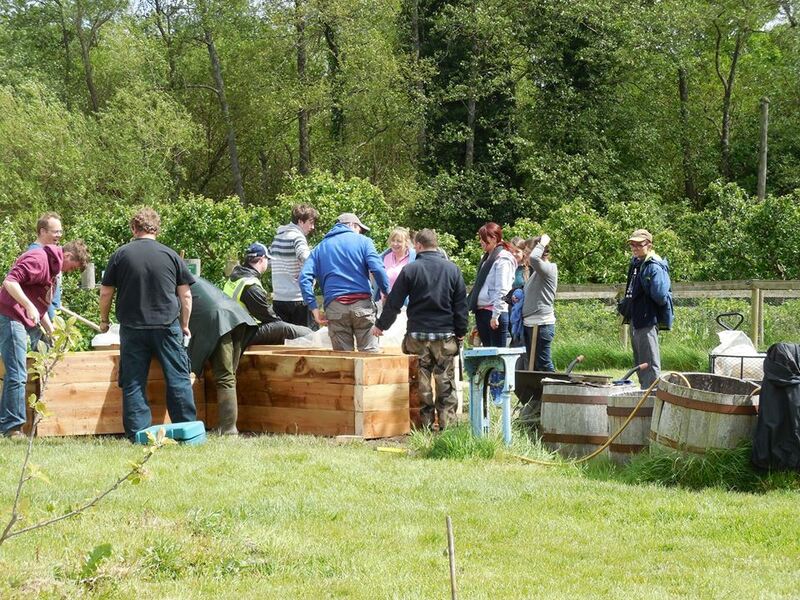 It was built a few years ago as part of a Difference Day with the help of 250 volunteers. 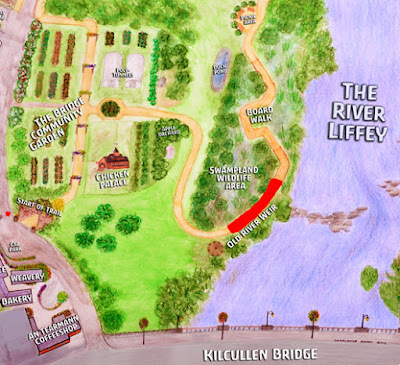 The Kilcullen Nature Trail is an invaluable asset to the Kilcullen; it builds community, promotes the outdoors and wellness, and draws people into town to shop on the Main Street. We look forward to the town coming together to bring this crucial asset back to Kilcullen; please consider donating if you're able. To make a donation, please drop your donation in an envelope to the staff An Tearmann. Any amounts small or large are appreciated and any surplus will be used exclusively for enhancing this local amenity. A Social Care Manager (Person in Charge) is required to fill this full time post. You will need a strong management and leadership background, experience of working with people with intellectual disability offering person-centred support. You will require a sound understanding of regulatory requirements; have skills to lead the safe support to residents within a complex residential environment. You will have strong business skills and be qualified in social care. You will need to be committed to personal development and working as part of a team. The post provides the opportunity to work as part of a committed team, a competitive salary and access to collaborative and learning work within a leading national organisation. This is a full time salaried position which will average around 40 hours per week and may include being on call at evenings and at weekends. All appointments will be subject to Garda Vetting. The community provides Residential Life-sharing Services, Day Opportunities and Support Services, Transition Training, Housing and Supported Living for a total of 28 people with special needs. 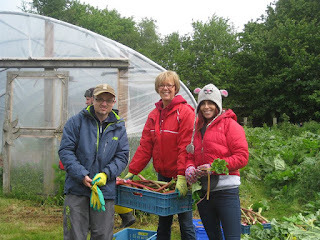 Camphill is an organisation with a strong voluntary ethos and includes many voluntary and vocational coworkers some of whom also live in the community. 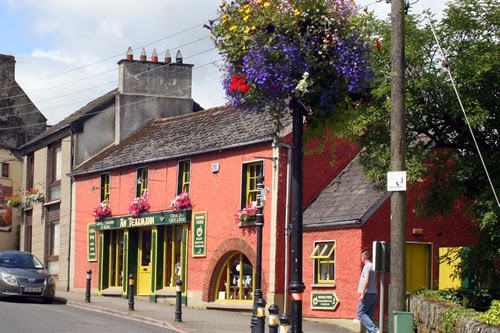 The Bridge Community is located in the town of Kilcullen, Co. Kildare and prides itself on the integration and inclusion within the town and enjoys a strong relationship with the wider community. Closing Date for applications will be Friday 20th of November 2015. Candidates shortlisted for interview will receive notification by Friday 27th of November for first round of interviews being held from the 8th to the 10th of December. Only candidates shortlisted for interview will be contacted. Camphill is an equal opportunity employer. In case of any further information please contact Ben Gamble at 045-481597. Congratulations to Mischa on receiving a Kilcullen Community Award last night. As was reported in the Kilcullen Blog, the nomination was in recognition of someone who has made 'a huge contribution' to Kilcullen over the last two decades and more. 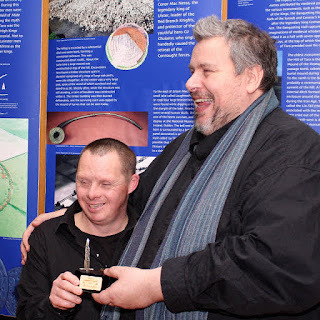 Apart from his work with the Camphill Community, which has helped break down barriers between those with special needs and the other residents of Kilcullen, Mischa has been involved with many other aspects of the town, especially in the areas of music and drama, 'a man of many talents and always willing to share those talents'. For his own part, Mischa thanked the community of Kilcullen for making him and his friends in the Camphill project so welcome. "I think the town very willingly reached out to encompass all of us, and naturally included people, and this wouldn’t have happened in every town. It was something magical." He accepted the Award, he said, on behalf of all those in Bridge Camphill. We are justly proud of this achievement in The Bridge. Do you have some time on your hands? Would you like to make a contribution to a worthwhile cause? Have you a sense of fun and are up to trying new things? Our Activities and Interests Programme makes art, music, craft, literacy, sports, drama, dance, IT Skills and other topics accessible to people of all abilities in an informal and fun way. It is run with coworkers of the Bridge Community and the help of local volunteers who contribute their interest, knowledge, skill and enthusiasm in whatever way they can. We are also looking for Volunteers for our Befriending Programme for a couple of hours a week in the evenings or at weekends, assisting with outings to museums, cultural centres, concerts, walking, playing cards, paired reading, going to the movies etc. We will try and pair you with someone with compatible interests. 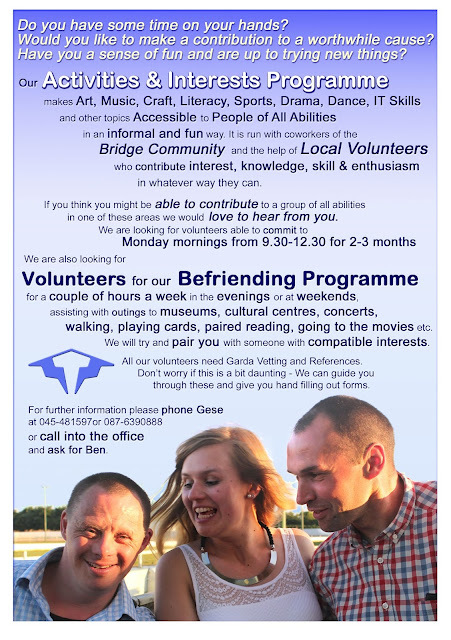 All our volunteers need Garda Vetting and References. Don’t worry if this is a bit daunting - We can guide you through these and give you hand filling out forms. 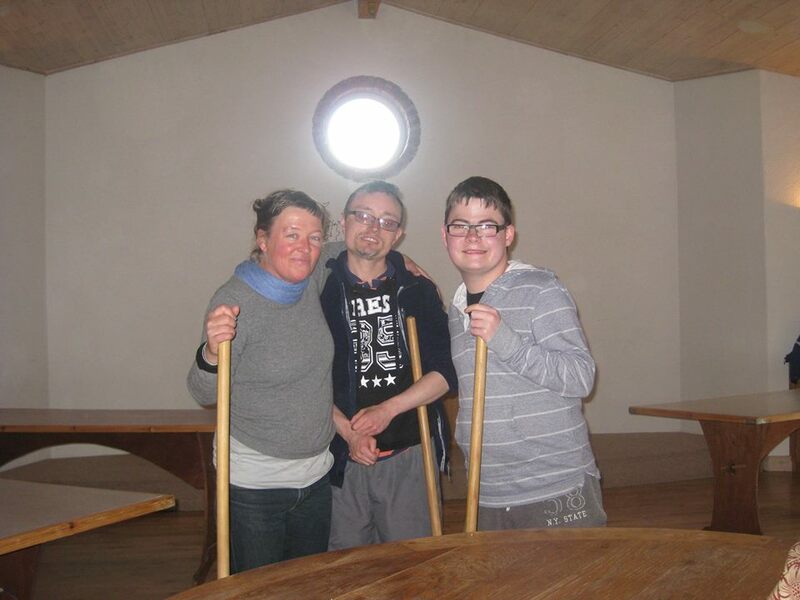 The Bridge & Grangebeg Camphill Communities are looking for a PROGRAMME CO-ORDINATOR for their Transitional Training Programme for School - Leavers with a Learning Disability. 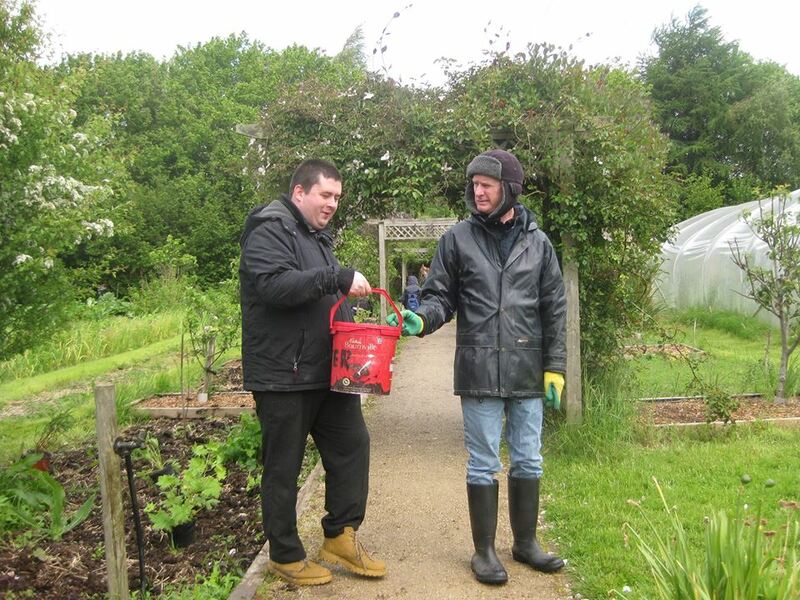 # Have you got experience in working with young adults with a learning disability? # Do you get excited by supporting people to reach their potential and make the transition from school to adulthood? # Do you have some experience in teaching or coaching? IF SO - WE WOULD LIKE TO HEAR FROM YOU ! 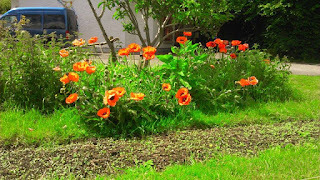 - Be interested in The Values and Ethos of the Camphill Approach. Hours: The post is part-time for 20 -24 hours per week with occasional extra hours when required for holiday cover. This role will require flexible approach to working hours. 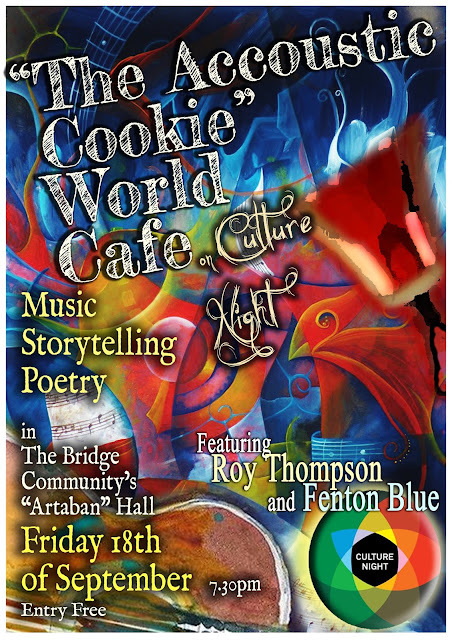 For more details contact Ben Gamble, The Bridge Camphill Community, Main Street, Kilcullen. For those of you who have the time to spend watching the world go by in our lovely coffee shop An Tearmann, we've just had fitted a new coffee bar / seats. Clever brain child of Deirdre and Jo and the handiwork of Sean and Ciaran - another great team effort. This is the time of the year when the Villagers go on holidays. A few of us have just got back from a visit to Liverpool and Chester. Great fun! 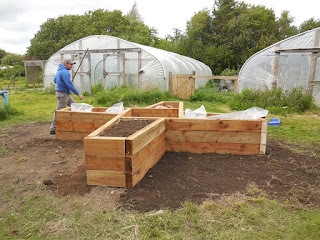 We had a brilliant 'Mini Project Day' on 2nd June - planting flowers, creating a raised bed in the shape of St Bridget's cross, harvesting rhubarb, etc. 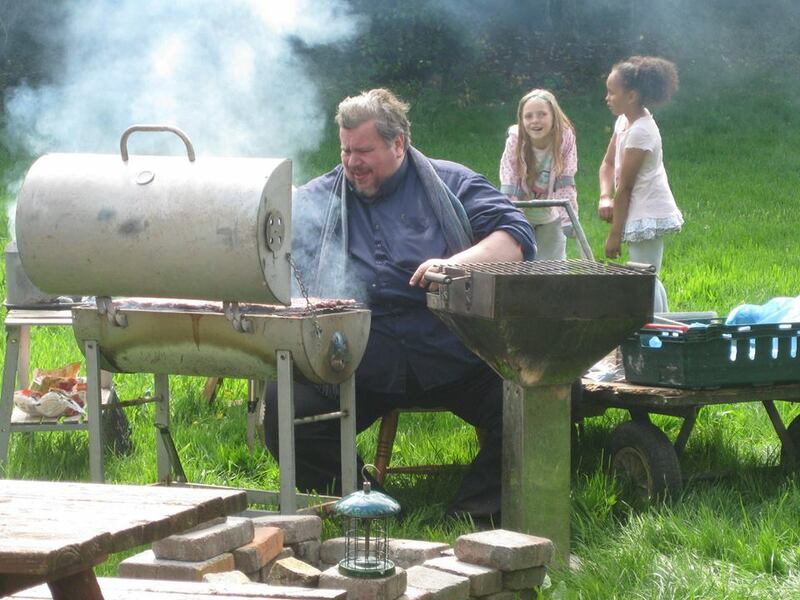 Followed by a BBQ behind Isserin. Here is a flavour of the day in pictures. 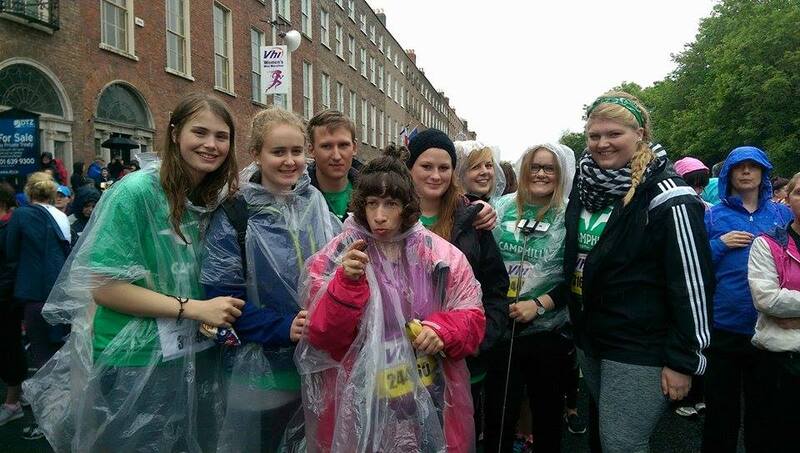 So proud of our guys who who took part in the 2015 Dublin Mini Marathon. They battled through heavy rain, never loosing heart! Sirka did a magnificent 6 kilometers! On Palm Sunday we always 'Beat the Bounds' at The Bridge. This year was no exception. Despite a fairly cold a windy morning we followed the bread cockerels to each corner of our land and sang a song. Great fun! The intern will gain practical experience in cooking, waitressing, stock taking, ordering supplies, Haccp, and food preparation. The intern will receive formal/informal training in the following, Manual Handling, food preparation to Haccp standards and customer service. Safeguarding for Adults with special needs and any other relevant training necessary. On completion the intern will have attained skills in customer service, food hygiene and preparation, and working alongside adults with special needs. This is an Internship. An allowance of €50 per week will be paid in addition to your current Social Welfare payment.See eligibility criteria above. It looks like there won't be any St Patrick's Day Parade in Kilcullen this year, as Kilcullen Scouts have no plans to organise it, writes Brian Byrne. The Scouts inaugurated and have run the very successful parade for the last two years, but have opted out this year because they're not in a position to handle it. 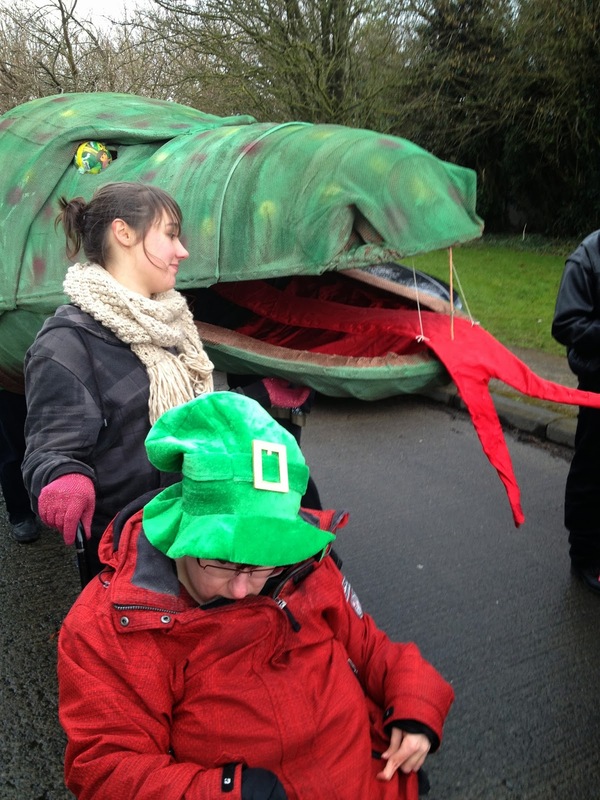 "It's very disappointing," says Mischa Fekete of the Bridge Camphill Community, whose St Patrick and an accompanying 'snake' have been a popular feature among the many local business and clubs floats which entertained hundreds of Kilcullen people and visitors on each of the previous two parades. "We had just started practicing a new drums performance to add something different to the event, but now we'll have to rethink. It would be great if another organisation or club in the town would take over the parade's operation." Both recent parades attracted a very strong support from all clubs and other groups in Kilcullen, and last year ended with music from local bands and outside musical groups. A plan to provide a topical film show for children after this year's parade was also in train. That may still go ahead anyhow. But there's no doubt that there will be disappointment that such a promising annual event might disappear so soon after its beginning. "It'd be a pity for the town if it slips away," one local publican told theDiary today. "It brings people around." Right, it's the beginning of March and winter hibernation is officially over, writes Brian Byrne, and maybe it's time to polish up the walking boots again. 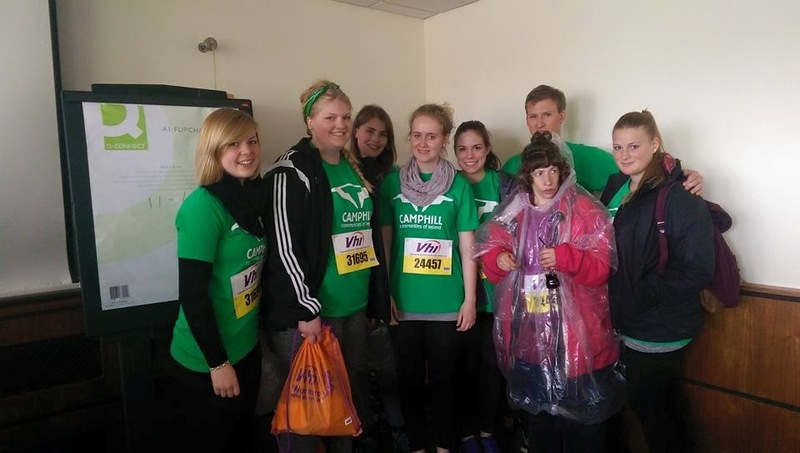 And a couple of walks that might be worth considering to help fundraise for Camphill Communities of Ireland are available. The first, and closest to home, is trek along The Wicklow Way, either 10km or 17km depending on how you figure you might more easily manage. It's on 19 April, and the cost is €100. 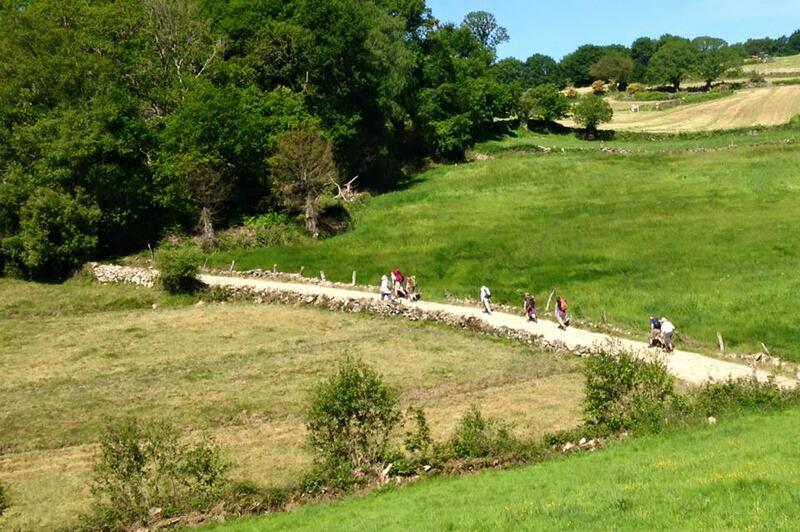 The CCoI is also working up a trek along part of the Camino De Santiago to take place in October. If you're interested in either event, email Joe Lynch joelynch@camphill.ie or call 045-483735. A sign-up page for the Wicklow Way Challenge will shortly be available on mycharity.ie. 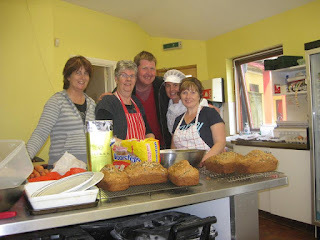 In Kilcullen we're very aware of the very good work that the Camphill organisation does for people with special needs. Across the country in 17 locations, that work is replicated for some 275 people in a range of ages. 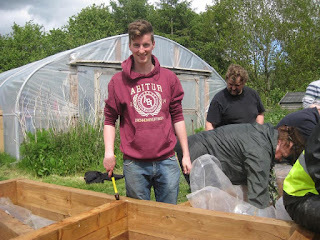 It's work that requires funding, despite the very high volunteer element of the Camphill model. So, have a think about one or other of the above. Both promise to be fun events too. Are you looking for a life change? Do you feel energised by supporting others? Are you looking for an authentic lifestyle where people can live and grow together? We are currently seeking couples or families or individuals who would like to join our community as long term life-sharers. Maybe you know someone else who might be interested? 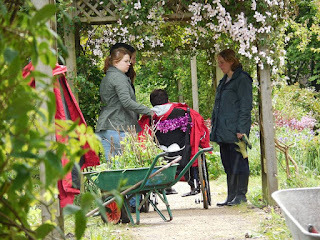 Working and living at the Bridge Camphill Community alongside people with special needs is a uniquely rewarding and challenging role. 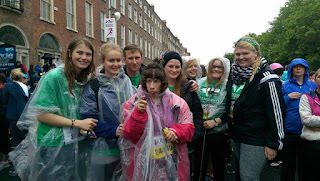 In the heart of picturesque Ireland we are an inclusive community that aims to work and live alongside one another to support each other in living purposeful and meaningful lives. We are about 40 people living together of whom half have learning difficulties situated in the centre of the small town of Kilcullen, 30 miles from Dublin. We live in 5 houses on a 9 acre farm site which includes a popular local nature trail. We also run a coffee shop, weavery workshop and organic grocers. We grow a range of fruit and vegetables using organic principles and rear livestock and poultry.We are looking for a couple or family or individuals who would like to live with us. 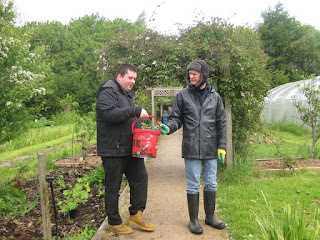 They may have a special interest, or would like to experience a simpler yet richer way of life, working with and for people with learning difficulties. # Developing a family home and community environment that is inclusive, well run, safe, welcoming and enables all individuals to feel at home and have a voice in decision making. 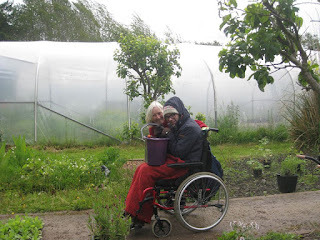 # Working alongside people with special needs in the workshops such as gardening, cooking, coffee shop, house-keeping, weaving, bread-making, animal husbandry. # Working with people with special needs and their families to identify and develop areas of interests, aims and goals. # Supporting other volunteers in developing best practice in the work and life of the community. This may be in the areas such as inclusion, communication, training, financial management and health and well-being. # Contributing to the cultural life of the community, organising events, workshops, outings and festivals. Ideally applicants may have had experience working or living with vulnerable people and show flexibility, patience and empathy as well as a willingness to learn. Work has been progressing on installing new bird boxes around our Nature Trail. Started last summer by the Co Workers who put together their own bird boxes as part of the Mini Difference Day, more boxes have created in the last few weeks. As Spring is now well under way, these are now appearing all around the site; indeed some have already been seen with birds in them. We hope that we will hear the sound of baby birds in the coming months! They are clearly enjoying their teenage years! Why not check it out and 'like' us! 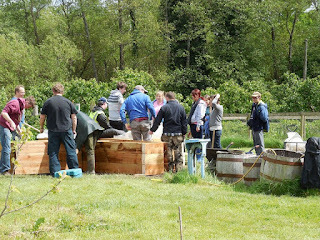 Read more about our Farm & Nature Trail and how it came about with the help of an army of volunteers. Look at pictures of Daily Life or Work Life, or browse photographs of Events, Festivals and Activities or Art & Design Work in our Community.